Al-Qaryatayn is a small Christian town southeast of Homs around an oasis in the Syrian Desert. When IS (Islamic Styate) captured the town, most Christians fled or were killed and IS destroyed the famous 1,500 year old Monastery of St. Elian. In April 2016 the Syrian army chased IS out, but in a surprising and bold assault, IS shock troops together with sleeper cells recently captured the town again for three weeks. The Islamic fighters are eliminated now, but in the short time of their reign they executed 128 civilians for cooperating and dealing with the Syrian government. The death toll could rise as there are still dozens of people missing. The victims were government workers, a retired brigadier general and his family, and people who were accused of business contacts with Damascus. One can only guess what would have happened to the 120,000 remaining civilians in Deir ez-Zor, if IS would have overrun the besieged city on the Euphrates River. It could have resulted in the greatest bloodbath of the Syrian war because all of the civilians were considered as unrepentent government supporters. 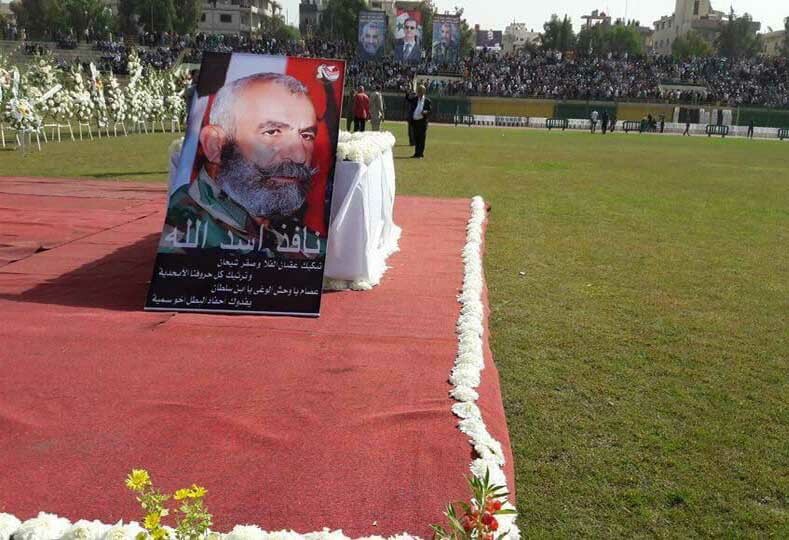 The Islamists didn’t get a chance to commit a large scale massacre, because the elite Republican Guards of the 104th Airborne Brigade, led by the highly respected and famed General Issam Zahreddine, held out against constant attacks by suicide bombers and fanatical inghemasiyoun fighters. Their indefatigable and unyielding resistance not only prevented a bloodbath but also bogged down thousand of Islamists, making army progress in other parts of the country possible. After the siege was lifted, Issam Zahreddine took a one week leave to be with his family in Suwayda. When he came back to continue the cleanup of IS positions around Deir ez-Zor, he first went to Saqr island, conducting special operations there. The island, enveloped by the Euphrates River and a side arm, is a heavily contested area southeast of the city. It is difficult terrain with a comparatively lush vegetation giving cover to IS positions, it is heavily mined and fortified. Though the Syrian army after many tries has broken through the Islamists defenses, it has still captured only one third of the island. And then the unthinkable happened: Issam Zahreddine died, when his vehicle struck a landmine on the frontline at Saqr island. Issam Zahreddin’s successor in Deir ez-Zor, General Wael Zayzafoun, died in combat only two days after Zahreddin. General Ghassan Iskander Tarraf is now the new commander of the Republican Guards in the city, he was a confident of Zahreddine throughout the siege and one can only hope, that he will live longer as his predecessors. General Tarraf is one of Syria’s most highly decorated military officers, until now he was the field commander of the elite Al-Qassem Group, a small special operations unit that primarily operated in Deir ez-Zor province. 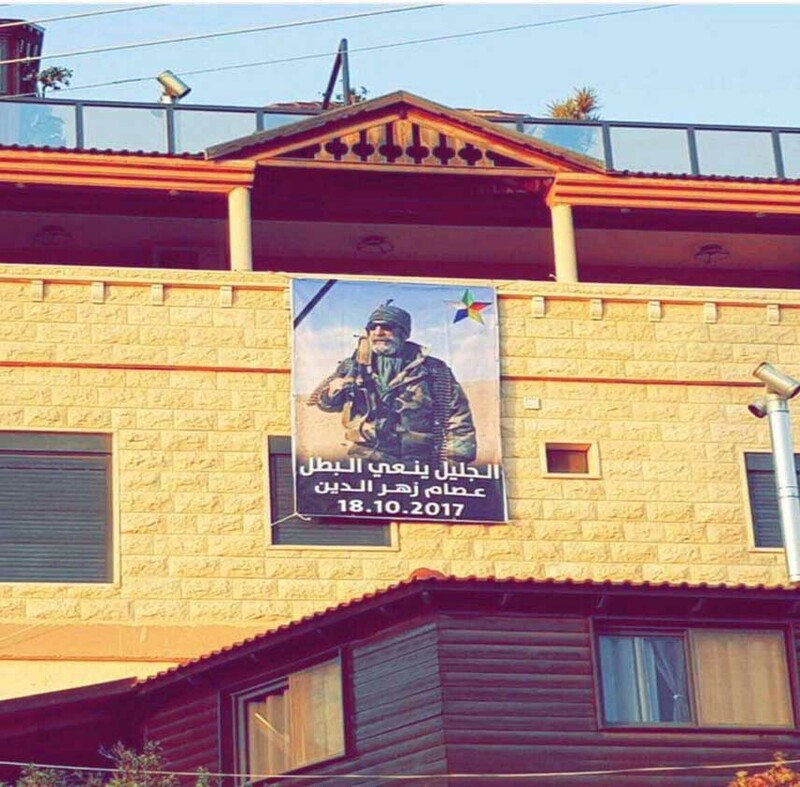 How can it be, that important military leaders like Zahreddine and Zayzafoun put their life on the line, fighting along with their soldiers at the front? It is a matter of honesty! If they send their men into battle, knowing that a number of them will die, they have to be with them, showing them that they care and that they will not forsake them, showing them that they don’t cowardly hide in command centers and that they all stand together to save their country from the Islamic terrorists which foreign powers unleashed against Syria. Russian General Valeri Assapov died only a few days earlier when IS hit his post with a pinpoint strike. Russians suspect that IS got a hint from Western intelligence. In some respect Zahreddine’s death reminds of Mohammed Rafia, Syrian-Palestinian leader of Liwa al-Quds, who died on the dawn of victory in Aleppo shortly after capturing the important Handarat camp in the north of the city. These brave men, who made the ultimate sacrifice for a just cause, will not be forgotten. General Zahreddine is a symbol of Syria’s independence, its multi-cultural society, and its spirit of unity in the face of aggression. He belonged to the Druze minority, which has about 600,000 members in Syria. The Druze are an esoteric religious group who self-identify as unitarians. They originated in Asia and mix Shia Islam with Greek philosophy and Hinduism. Despite their small number, Druze always played an important role in Syria. Sultan Pasha al Atrash, one of the leaders of the Arab revolt and an important figure in the establishment of the Syrian state was a Druze – Issam Zahreddine is related to him through his mother’s family. 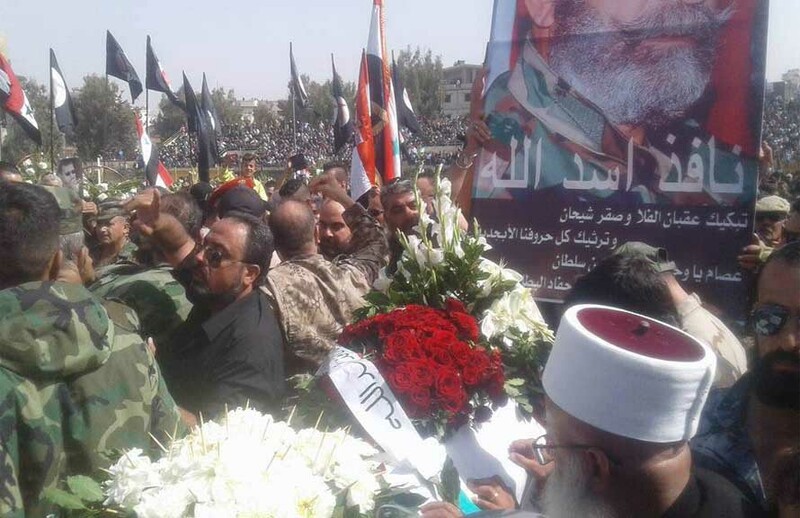 As a Druze Syrian, Zahreddine led Sunnis, Shias, Christians, Alevites, and others on the field in battle, all men who identified as Syrian first and foremost, rejecting the sectarian strife which foreign conspiracy brought upon them. 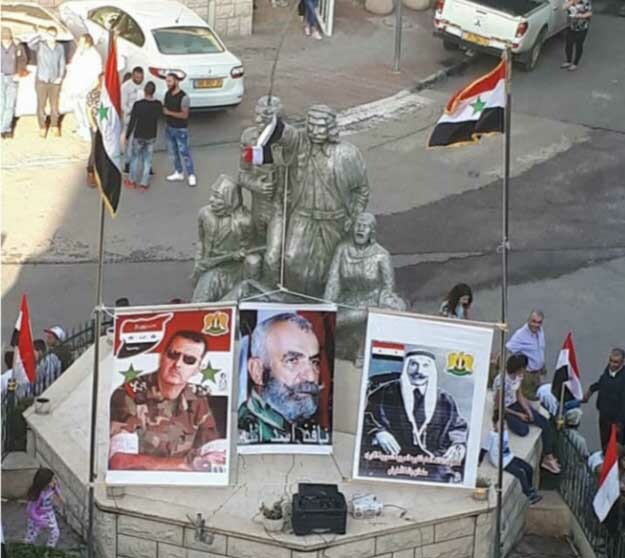 Zahreddine was in this sense symbolic of the unifying, modern Arab nationalism that Syria always was a bastion of. While other secular governments (in Afghanistan, Iraq, Tunisia. Libya) succumbed to external aggression, subversion, and terrorism, Syria still holds on to the ideals of Arab socialism and national independence. 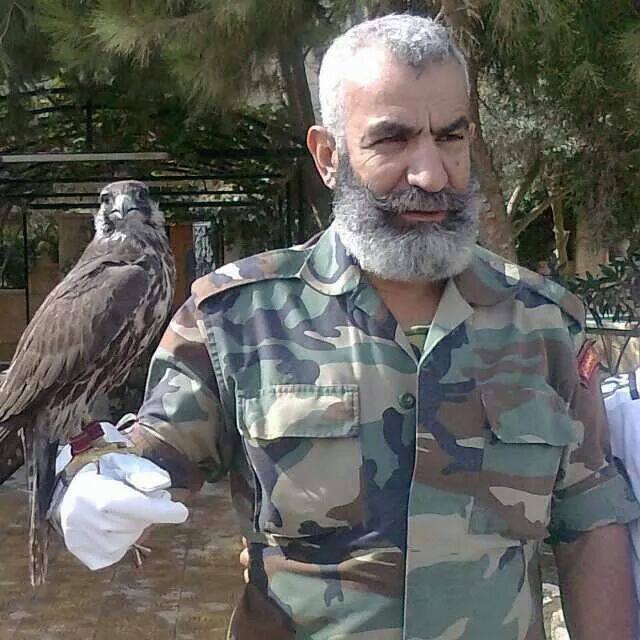 General Zahreddine was 56 years old and he is survived by his wife and children, including his son Yarob, who fought alongside him in Deir ez-Zor. Often referred to as the “Lion of Syria” or “Lion of the Republican Guard,” songs and poems were written about his seemingly endless supply of courage, stamina, and patriotic zeal. 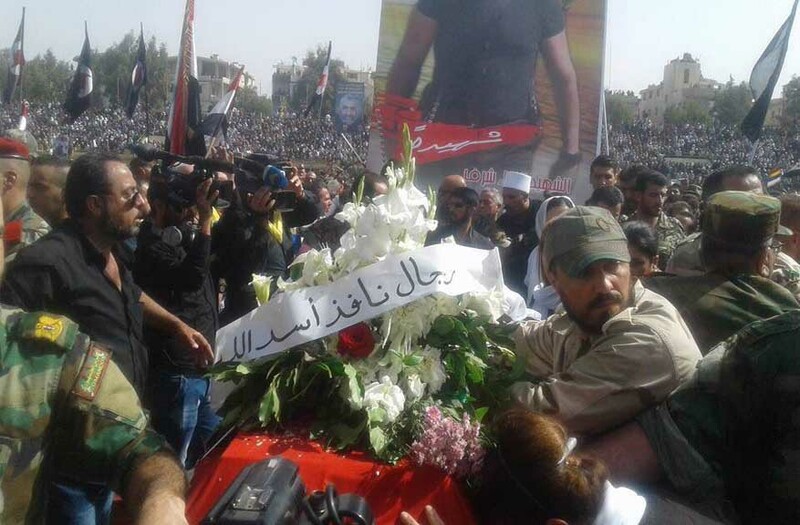 His body was first brought to Damascus to be saluted there and then carried to his hometown Suwayda. Thousands of moaners packed the provincial stadium and attended the funeral procession. There were processions also in many other Syrian towns and even in occupied Golan, where the Druze still consider themselves as Syrians. Hundreds took part in a procession through the Druze town of Majdal Shams under the weary eyes of Israeli security forces. 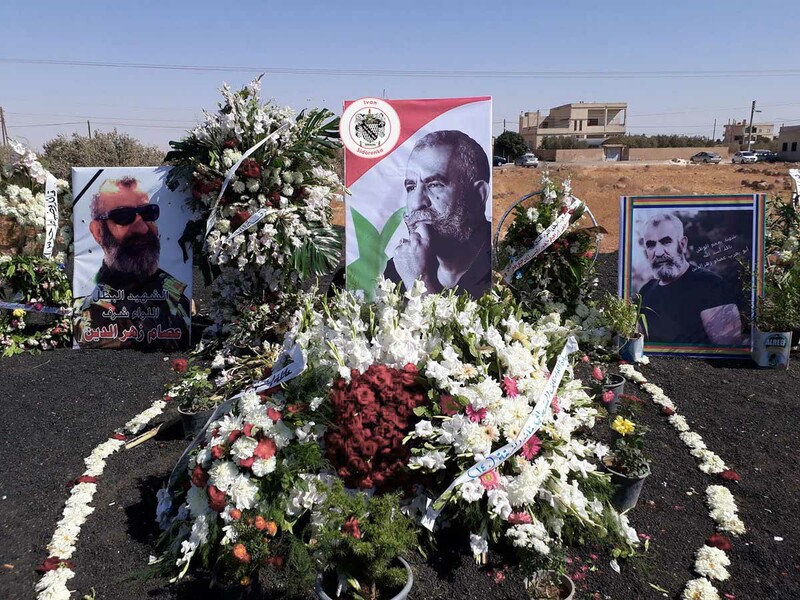 Like any other important Syrian who resists the takeover by Islamists, Issam Zahreddine was accused of war crimes and as in all cases the accusations were based on nothing than hearsay and the testimonies of clearly biased and partisan witnesses. Zahreddine was defamed as the “Druze Beast” among Islamic rebels for alleged beatings of protesters in Douma. In a statement to the Western NGO HRW (Human Rights Watch), a former Lieutenant Colonel in the Syrian Army claimed that Zahreddine had ordered most of the beatings of protesters in Douma, during the early stages of the Syrian Civil War, and that Zahreddine always had an electric baton on his person, which he used to attack protesters. A defector, most probably one of the thousands who were payed huge bribes by Qatar, has every reason to slander and smear the Syrian army. As a senior military officer Issam Zahreddine was also held responsible for the alleged repression against civilians in the early stages of the Syrian war, including during the siege of Baba Amr in February 2012. After he successfully led the battle that expelled Islamists from Homes, Syria’s third largest city, he was accused of indiscriminate shelling of civilian houses, hospitals, schools. General Zahreddine was also put on a sanctions list of the European Union for no apparent reason. Killed soldiers are scorned and called ”Assadist” dogs who deserve being exterminated, while the snipers and suicide bombers who killed them are praised as “heroes of the revolution.” The Syrian army is ridiculed and derided as incompetent, amateurish, corrupt, disorganized. “No wonder that it is easily outsmarted by the glorious Islamic rebels,” say the online warriors. Soldiers who run for their life because a suicide bomber drives his car full of explosives at maximum speed towards them are mocked and laughed at, the videoclips where their body parts fly through the air are watched with glee. Dehumanizing the enemy is common in war. War is inherently insane, cruel, sadistic, psychopathic. Nobody can escape the mental degradation, corruption, the numbing of the mind. The warriors of all sides will be emotionally crippled for life. They will suffer from PTSD (post-traumatic-stress-disorder), from hearing loss, from nightmares and insomnia, many will be maimed. While Syrian soldiers are called Assadist dogs, the Islamists are called rats. Captured Syrian soldiers are tortured to death, beheaded, burned alive, or executed in various other painful ways. Captured Islamists are seldom, they usually don’t capitulate. Wounded enemies are left to die. Syrian troops don’t dare to approach wounded Islamists because time and again the enemy faked and just waited to explode his suicide belt when the soldiers were near enough to be hurt in the explosion. There are no rules of war, the Geneva Convention doesn’t apply. It never applied, because the US Congress refused to ratify the 1977 Protocols even after the US government signed it. How can a civil society be restored after the traumatic experience of war? Can there be one day forgiveness, reconciliation, understanding, harmony, peace, love? The Syrian government has repeatedly declared amnesties and has negotiated reconciliation agreements, it has evacuated Islamist fighters to Idlib and to the Turkish border region in the proverbial “green buses.” Russia has set up deconfliction zones and organized ceasefires. A compromise about limited autonomy of the Kurds is still possible despite the fact, that Kurdish led SDF units in a surprising move took over the Omar oilfield from IS without a fight. This smells like foul play — while Syrian soldiers have to fight for every meter and pay with their lives, the Kurds just walk in unopposed. Thank you so much for writing this . It’s difficult, if not impossible , for me to get this perspective and information otherwise .